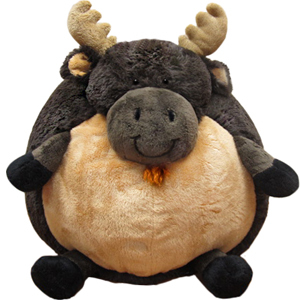 Squishable Moose: An Adorable Fuzzy Plush to Snurfle and Squeeze! Why is the plural of Moose �Moose� and not �Meese,� �Moosies� or even �Moosii�? That�s easy: they make a big enough impression all by themselves! It doesn�t take a whole herd of Moose to turn heads, just one will do it! Imagine him eating cupcakes in the food court! Picture him sitting at a table by the potted plants, gazing cross-eyed at the frosting on his schnoz! See him comparing his latest purchases by the pretzel stand! Notice that circle of curious onlookers? They tried to ignore the Moose but they just weren�t able. Indeed, from the top of his velvety antlers to his glorious hooves, even just one Moose is the toast of the tundra (or the mall)! This was the first squishable I picked out. Perfect for hugs and cuddles. I am super happy with my choice and I am glad I got this moose! This moose is amazingly comforting. He's plush and squishy, but with a personality of his own. I love how his antlers flop against his head, making him a silly moose! He was able to help me get through some rough times in my life. He makes a great stuffed friend for anyone. I really love the moose on the site. However, when it arrived, the stomach is basically flat and has a lot of loose fabric all puckered up, and the antlers are flat back on his head from being packed so tightly. May seem trivial to some, but it is not as shown and I probably would have picked a different item had I known there would be no puffy tummy or antlers showing. Supernatural fan? Love Canada? Just want an extra cuddly friend? When I came across the wonderful product known as Squishables, I just knew I had to have one. I was in my first year of college, having some medical issues, plus midterms and two major performances in the span of two weeks! My grandma knew I was struggling with the stress so she sent me my Moosie, a.k.a. Sammy. I was super stoked when I got my gigantic box from the post office and I tore him right out of the box. I was not prepared for the gigantor of a stuffed animal that is the Squishable moose. He's perfect for propping you up while you study for your exams, cuddling next to when binge watching Supernatural, and to hold close when you go to bed and protect you from your nightmares. Moosie has held up very well and all I've done to clean him was dusting him in baking soda and vacuuming it out. He is my companion wherever I go and faithfully protects my bed or my chair. Sammy only continues to get softer and more cuddly as time passes. So if you're still on the fence on getting a Squishable, remember that once you see one, you won't be able to resist cuddling up with one. They make perfect gifts for anyone, plus blanket forts are ten times better when made with your favorite Squishables. Montana was unavailable for the first few months that my boyfriend and I wanted him, and we were on the wait list. 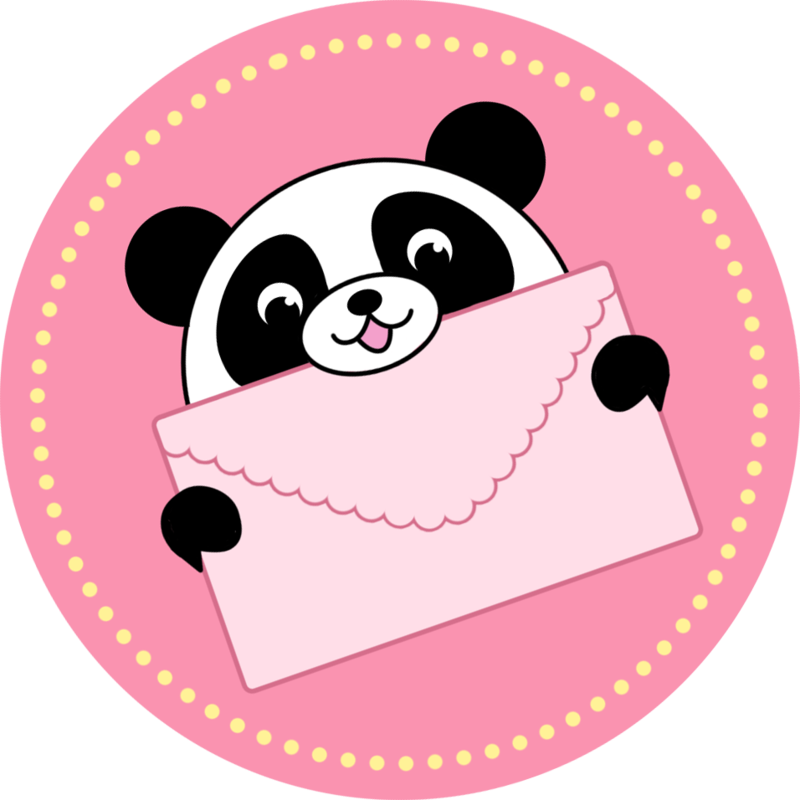 We were soooo excited when the email arrived that he was on his way!!! He has a fetching and mischievous smile and a lovely tuft of hair as a beard just like a real moose! His antlers and tail are perfect, and Montana is a beautiful color! We find him to be the softest squishy after Texas, our longhorn steer. He is an amazing addition to our squishy family, and we LOVE him! Two thumbs up!